ECKANKAR teaches that there is an audible life current known as the ECK, or Holy Spirit, that connects each of us with the heart of God. We can experience the ECK as Light and Sound. Through study and practice of the Spiritual Exercises of ECK, we learn to recognize the Light and Sound of God as It touches our lives and brings increased divine love. 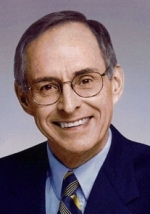 The spiritual leader of Eckankar is the Mahanta, the Living ECK Master, Sri Harold Klemp. The Mahanta is the inner, or spiritual, form of the Living ECK Master. The Mahanta gives inner guidance through dreams, Soul Travel, and the Spiritual Exercises of ECK. Harold Klemp's inspiring talks and writings, and his practical approach to spirituality, help thousands of people worldwide find greater freedom, wisdom, and love. His teachings uplift and help people recognize their own experiences with the Light and Sound of God. Presented by the Louisiana Satsang Society, Inc., A Chartered Affiliate of Eckankar. The opinions expressed in this site are those of the writers and not necessarily those of ECKANKAR or Sri Harold Klemp, the Mahanta, the Living ECK Master. For more information about ECKANKAR, The Path of Spiritual Freedom, see the Official Main Site of ECKANKAR Web site at www.Eckankar.org or call 1-800-LOVE GOD, or write: ECKANKAR, P O Box 2000, Chanhassen, MN., 55317-2000 U.S.A. Copyright © 2019 ECKANKAR. All rights reserved. The terms ECKANKAR, ECK, EK, MAHANTA, SOUL TRAVEL and VAIRAGI, among others, are trademarks of ECKANKAR, P O Box 2000, Chanhassen, MN 55317-2000 U.S.A.